The Zing Hotel, which is located in the centre of Phnom Penh, is part of a small hotel group with other properties in South East Asia. This is a hotel which some people will really like and others hate. The Zing Hotel has all the good points of a modern chain hotel, along with the bad points that you would also associate with chain hotels. I wouldn’t stay there again, but its a really good choice if its your first time in Phnom Penh. The best about the Zing Hotel is its location. 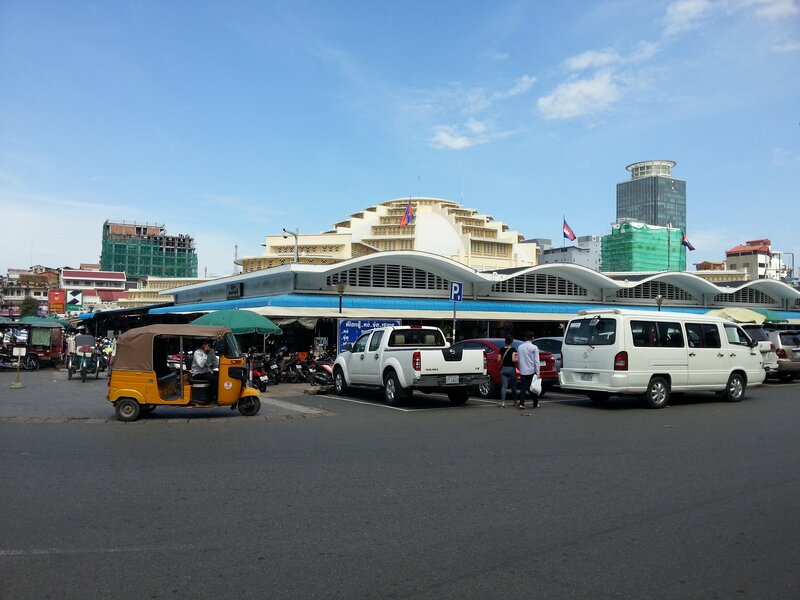 It’s 500 metres walking distance from Phnom Penh Railway Station, on the same square as Phnom Penh Central Market. 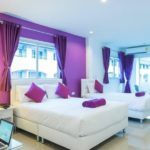 You can’t stay anywhere which is more central than the Zing Hotel in Phnom Penh and that makes the hotel easy to find, which is a great bonus for person on a first time visit to the city. 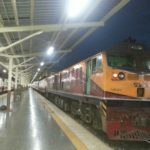 When you get to know your way around Phnom Penh a bit more then you may want to stay somewhere else, but on your first night you will want to stay near Central Market because it has lots of ‘foreigner-friendly’ bars, shops and restaurant very nearby. The second thing which some visitors may like about the Zing Hotel is that standard and style of the rooms will be familiar to be used to staying in low-cost chain hotels in Europe and North America. The rooms are small but well-equipped with very new looking furniture and modern fittings, such as the wall mounted flat screen TV. 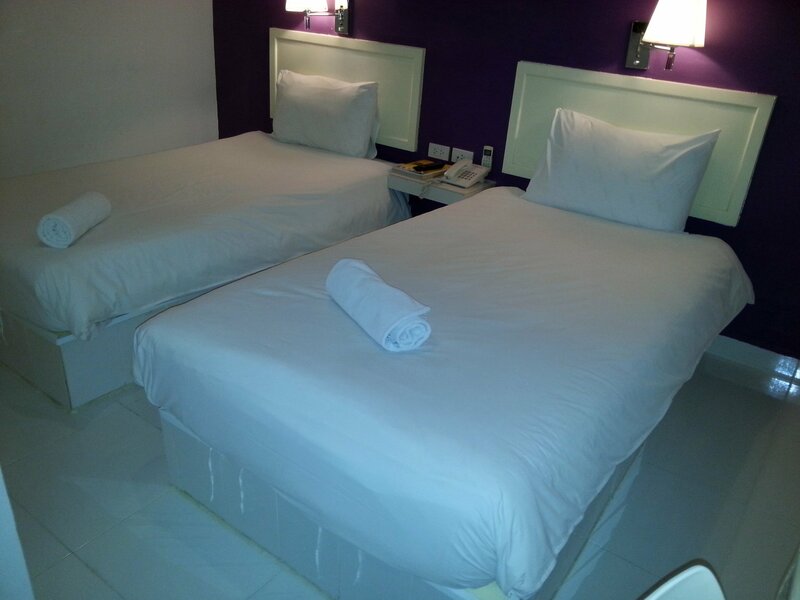 The hotel looks very clean and the decor very crisp, with a recurring design motif of white with small areas of deep purple. The Zing brand is cleverly conceived, and their hotels expertly ‘put together’, and we predict more Zing Hotels appearing across South East Asia over the coming years. The Zing Hotel is nearly everything you would want from a hotel to stay the night in an unfamiliar city. Its central. The service and room standard is impersonal, but good and reliable. This is, however, not a ‘cheap hotel’. It does represent good value for value in comparison to the city’s upmarket hotels, but not in comparison with other less centrally located independent hotels in Phnom Penh. The rooms at the Zing Hotel are best described as ‘smart and compact’. The room we stayed in was a standard twin room. There was just about enough room to walk around the beds and no window. What there was, however, is a full range of in room facilities: satellite TV, free WiFi, kettle, in-room safe, minibar, and comfortable beds. 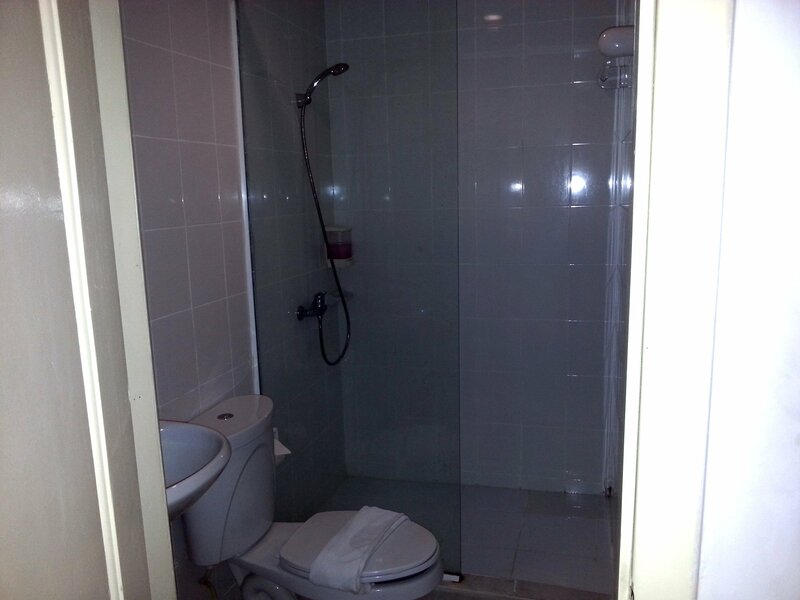 The climate control in the room was fine and the bathroom featured a separate shower area behind a glass screen. Everything was clean. I didn’t sleep very at this hotel. This is a fairly large hotel, with 74 rooms over 7 floors. On the floor where I was staying there a large group of Chinese university students occupying the other rooms on the same floor. They spent until very late at night talking in the corridor and on each other’s hotel door rooms. If you stay you might be more lucky, but nonetheless it might be a good idea to come prepared with ear plugs if you stay here. The hotel’s facilities are all on the ground floor. There is a cafe by the reception and that’s it. No pool. No gym. The cafe downstairs sells a range of international cuisine and drinks at comparatively expensive prices. If you don’t want to leave the hotel for whatever reason then you can get a decent meal in the Hotel Zing. However, there are shops and restaurants very close to the hotel where the same money will get you a fantastic meal. We recommend going to one of the Chinese restaurants on the Kampuchea Krom Boulevard (Street 128) which runs off the west side of the square where Central Market is located. You can get an excellent Chinese meal and a couple of beers at most of these restaurants for under $10.